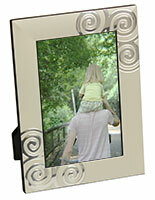 This Picture Frame will Showcase Two 5" x 7" Photographs You Love! 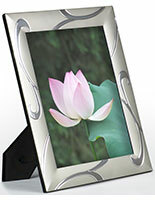 This Picture Frame is Made of Durable Metal and can be Stored Easily! 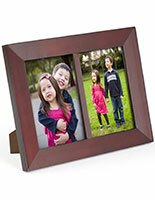 Photo Frames Purchased with Confidence, Largest Online Warehouse! 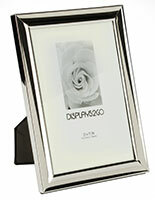 This picture frame has a shiny, silver plated finish to attract in light and to beautifully border any photograph. This poster frames display, picture frame also incorporates thin, 3/8" wide molding to focus a viewer's eye onto your photo. 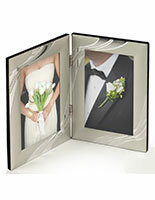 The picture frame, also known as photo frames, is exceedingly easy to put together. 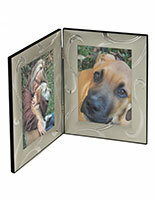 Merely slide the felt-covered backboard out and slide in your 5"w x 7"h prints. This photo frames holder is a great picture frame for highlighting priceless memories, family members or events inside any home or office. 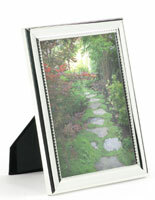 This picture frame accommodates two photo displays in one stand-alone frame. 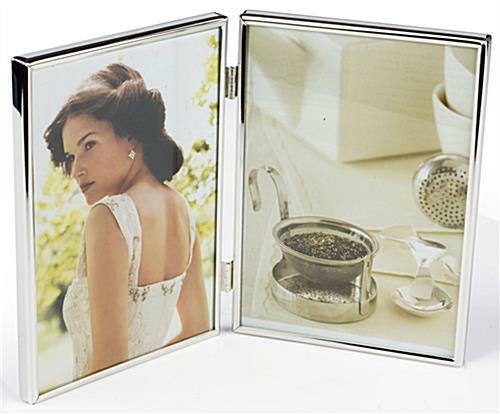 The photo frames holder, picture frame incorporates a folding hinged design to display two side-by-side 5"w x 7"h prints. 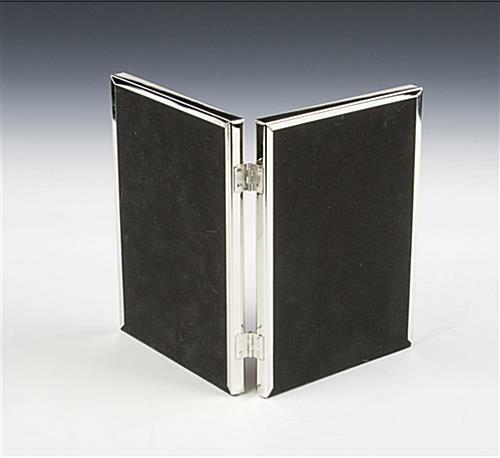 When not in use, or in the course of travel, close the hinge to keep picture prints sheltered and to take up minor space. The picture frame, also recognized as poster frames, does not require an easel stand to sit on any countertop, mantel or desk. This picture frame, with its hinged design, also makes it possible to adjust the angle of these exhibited prints to your preference. 5.3" x 7.3" x 1.0"